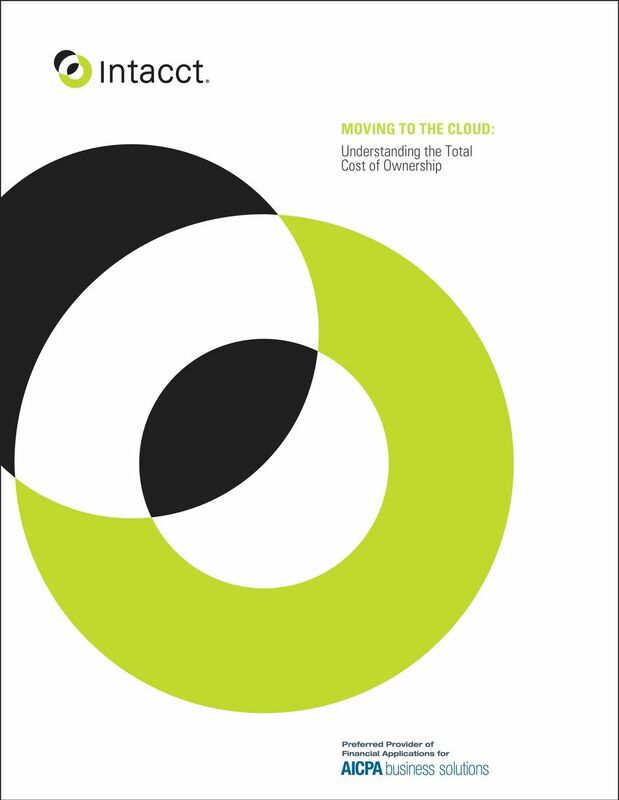 Download "MOVING TO THE CLOUD: Understanding the Total Cost of Ownership"
Is Cloud ERP Really Cheaper? 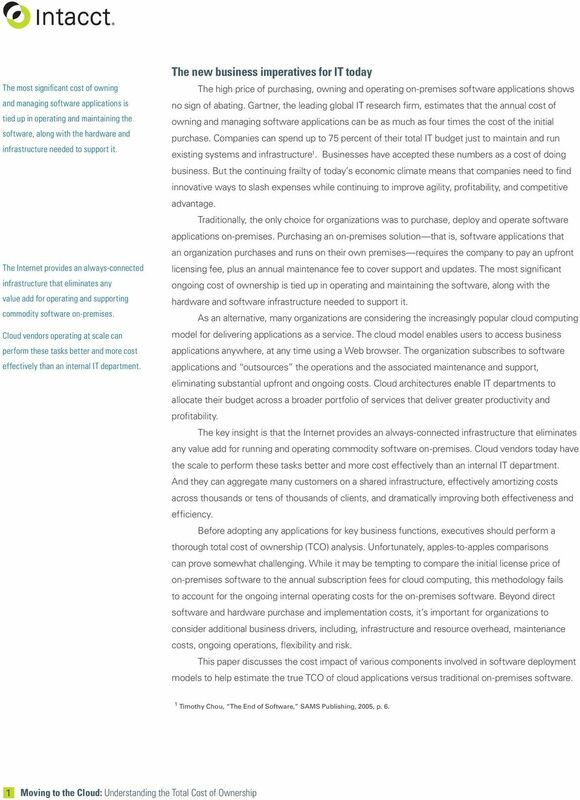 Whitepaper: The Hybrid Cloud: A PRAGMATIC VIEW OF ARCHITECTURES Table of Contents INTRODUCTION: PRAGMATISM RULES 3 TRADITIONAL APPROACHES TO CLOUD COMPUTING 4 WHY NOT GO WITH 100-PERCENT CLOUD ARCHITECTURES? Comparing the Costs. 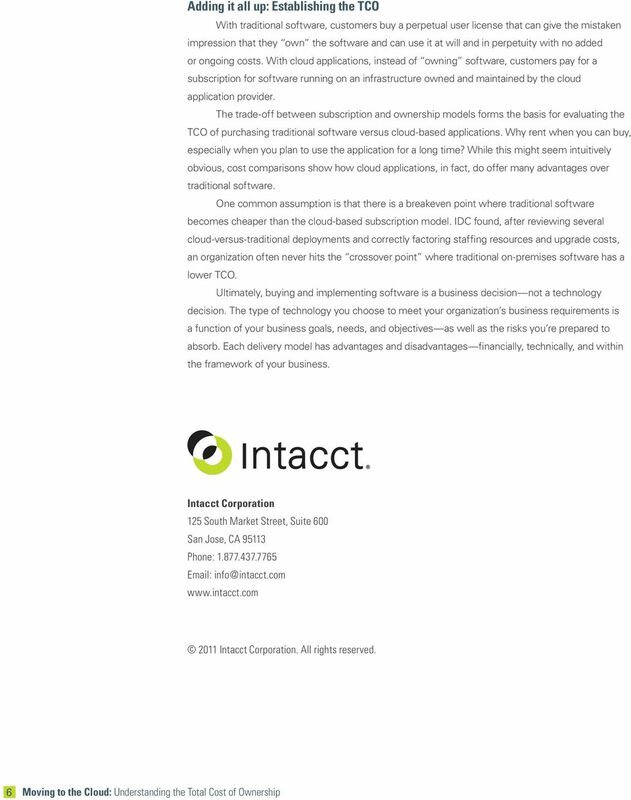 Analyzing the total cost of ownership of Clio vs. traditional desktop practice management solutions. 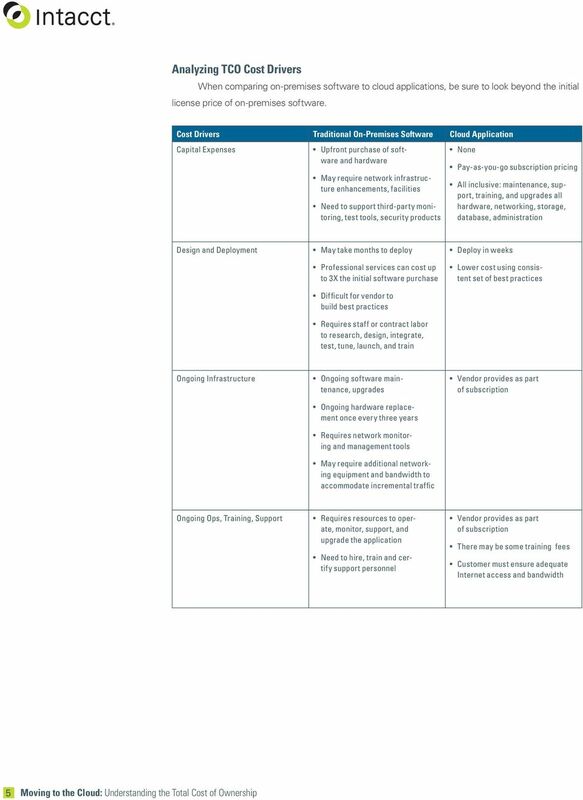 Four Virtual Meeting Room Deployment Strategies for Technology Companies: Which Strategy is Best for You? 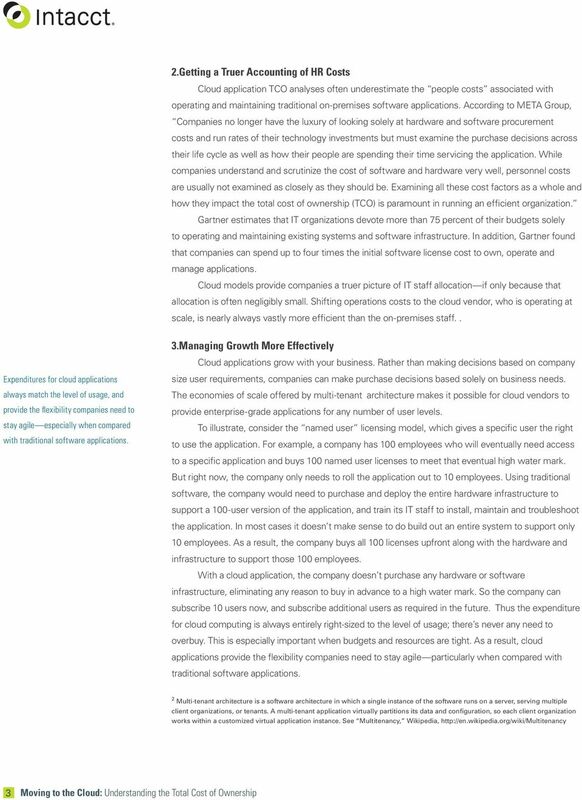 Brivo OnAir TOTAL COST OF OWNERSHIP (TCO) How Software-as-a-Service (SaaS) lowers the Total Cost of Ownership (TCO) for physical security systems. Transition: Let s have a look at what will be covered. 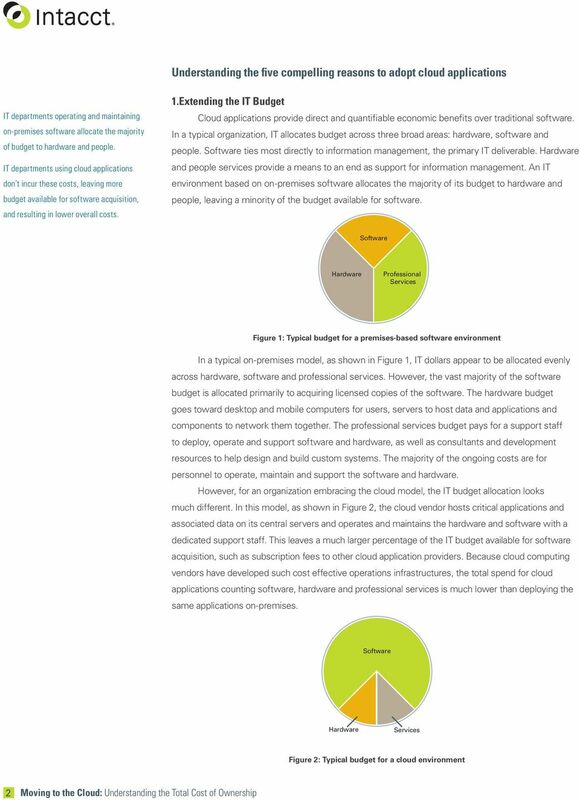 ITSM Software: Is SaaS the Model for You? Freedom... a true Cloud Based solution for education! 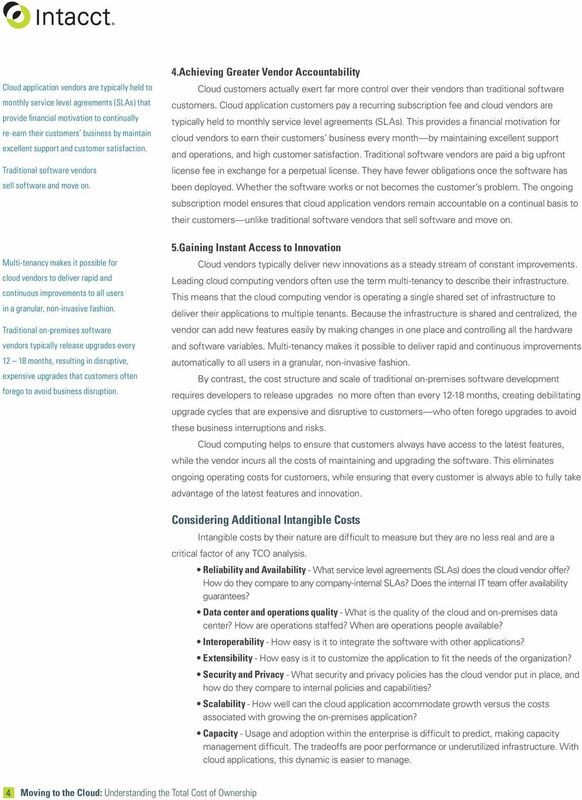 Actian PSQL Licensing For SaaS Actian PSQL White Paper May2013 This white paper is one of a series of papers designed to show how Actian PSQL can provide many of the requirements for Software-as-a-Service.